Thanks for answering! Would it be something that you could add easily maybe? There are probably better mods to do that then this one. I think 'In Control' might work, though. Does this just not work with Beta+ or am I failing to configure it properly? What is Beta+? Have you verified the scripts are being parsed and executed by looking in the log? So here's an interesting question - Do you have any fancy tricks up your sleeve to replace a biome with a random biome from a list of options? I'm running a world on 1.7.10 with Realistic Terrain Generation, ExtraBiomesXL, and Biomes o' Plenty. The problem I have is that biomes like the Forested Islands from EBXL are generating on land. My first thought was to try to add Forested Islands as a subbiome of the ocean, but that's apparently not possible with BiomeTweaker. So I came up with a potential workaround. Mushroom Islands are still generating as islands for some reason, so I thought of replacing Mushroom Island biomes with Forested Islands. If I do that though, I'll effectively remove Mushroom Islands from spawning and I don't want to do that. where the registerGenBiomeRep would choose a random biome from islandBiomes. I haven't tested this, but I suspect it won't work the way I'm trying use it, but I didn't see any other commands that might be useful in the wiki. Alternatively I also thought of using the addDicTypes command to add Forested Islands to the same dictionary type as Mushroom Islands, but the wiki page where different dictionary types are listed appears to be broken, and I'm not sure if "ISLAND" is a valid type. What you want to do isn't possible with the 1.7.10 version of BT. You'll have to either move on to 1.12.2 or find a different mod that might be able to do that. Has anyone found out how to raise the sea level? Ive looked through the wiki, youtube videos, example scripts, etc... and can't find it. Seems like it would be a feature. Not directly possible, no. Are you wishing for everything under a certain y-level to be water? If so, you can replace air with water below that y-level. 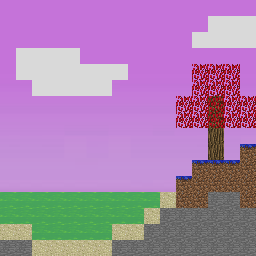 Would it be possible to use this mod to make the over world only 1 biome for a theme specific pack? Have you looked through your log for any errors or warning from BiomeTweaker or SuperScript? There are not any visible errors related to "biome" or biometweaker script syntax/parsing in the live game output log. The log is for startup, and creating a world, and has all the information related to "biome," including biomes o plenty and biometweaker. Do I/should I try using "setStage or setScriptStage" to make the script load as early as possible? Could you join the discord channel for this discussion? The link is on the wiki homepage. If I change what biomes can spawn with this, does it affect other dimensions or is it dimension specific? Depends if the mod creating the dimension uses vanilla biome generation code or not. BiomeTweaker only modifies vanilla methods. Then if it doesn't use vanilla biome generation? How would I remove or add a biome to a dimension?